Who The F*ck Is Cinema Threat?!?! Cinema Threat is an independent motion picture production company that prides themselves on their cult and exploitation films and have risen to notoriety in the underground film scene. Their brand of off the wall satire, love for the horror genre and taboo subject matters, come together to create a unique brand of underground movies that Cinema Threat has become famous for. Cinema Threat movies are a return to the "Midnight Movie" mentality of films such as Pink Flamingos, Last House On The Left, Thriller: A Cruel Picture, and Sweet Sweetback's Baadasssss Song. They are the lovers, the makers & distributors of trashy, edgy, rule breaking movies. Movies that are just too taboo, too foreign, too sleazy, or too different to fit in with the views of your typical film outlet ... they are a threat to the media status quo, a threat to modern cinema. So What The Hell Have They Done??? TO BUY ONE OR ALL OF OUR FILMS, CLICK HERE! Since the successful worldwide DVD release of their first feature film Transit (2005), Cinema Threat Productions has produced numerous features. Their second feature, The River: Legend of La Llorona (2006) was released as part of the Hostile Hauntings 2 Disc Horror DVD box set and was released again (2007) as part of a 50 pack Horror DVD box set titled Decrepit Crypt of Nightmares. Revenge of La Llorona (2007), their third feature was released as part of the Tomb of Terrors 50 pack Horror DVD box set as well as a single title DVD. Curse of La Llorona (2007) was Cinema Threat's fourth project and the final installment in the "Llorona Trilogy" of films. The Hood Has Eyez (2007) was their fifth project and Horno was their sixth. All their movies are available at Major DVD Retail chains across the country (Amazon, Netflix,Tubi TV, ﻿Fry's Electronics﻿, F.Y.E., Best Buy). Terrence began making movies at age 12 with a friends Hi-8 camera, but his formal film education started at the Hollywood Film Institute and continued at Los Angeles City College Film & Television School where he attained a degree in Cinema Production. Having been well trained in all aspects of film, Terrence has written and directed numerous feature films. "Revenge of La Llorona" does establish Terrence W. as a director of skill and one with some interesting ideas." 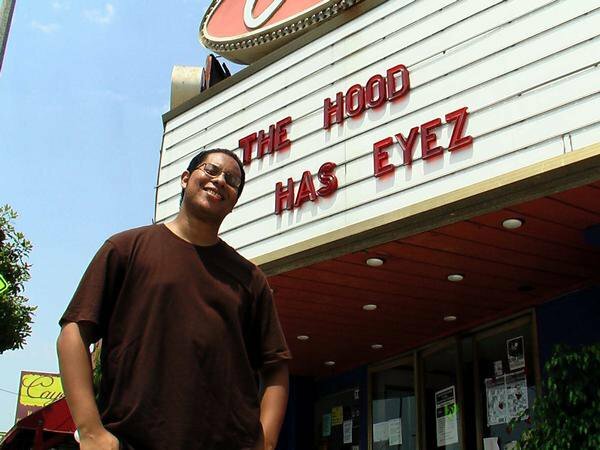 "Terrence W. is one of those filmmakers that really deserves to have his work seen more widely, with 'The Hood Has Eyez,' Terrence has shown that he not only knows how to make a good movie, but also has the balls to make the kind of movie that he wants to." "It's obvious Terrence W. knows what he wants to see on screen and how to get it - you can tell there's thought behind the camera work - and the director knows how to work with his actors." "Horno is a fun indie film. It shows that Terrence is not only a good director but also diverse. Although he is worthy of going behind low budget films and I wish him success, I wouldn't want him moving away from independent filmmaking, if only for the reason that he wouldn't be able to continue making such absurd films." After wearing many hats on the independent graffiti drama Transit (2005), including script supervisor, special effects coordinator, and wardrobe girl, Nicole partnered with director Terrence Dubya to produce her first feature, The River: Legend of La Llorona (2006). Nicole took Film/Production courses at El Camino College and Los Angeles Southwest College and has produced numerous feature films under the Cinema Threat banner. Copyright © 2003-2019. 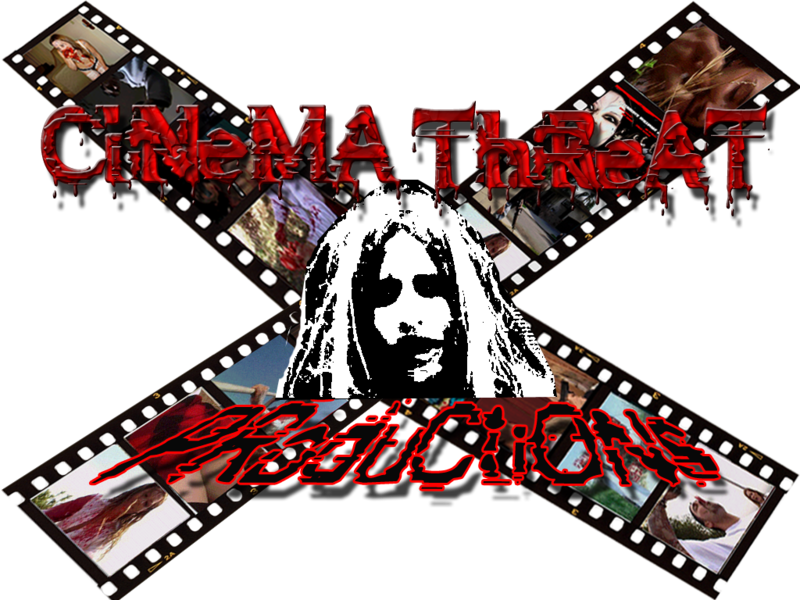 Cinema Threat Productions. All rights reserved.